NXP Semiconductors has launched a Cloud Connectivity Kit to significantly reduce time-to-market for deploying IoT products using technology from Zentri, writes Nick Flaherty. The LPC43S67-A70CM Cloud Connectivity Kit helps designers bridge the gap between unconnected embedded products to cloud-connected products without the need for deep expertise in security, Wi-Fi stacks, device commissioning, and cloud service APIs. 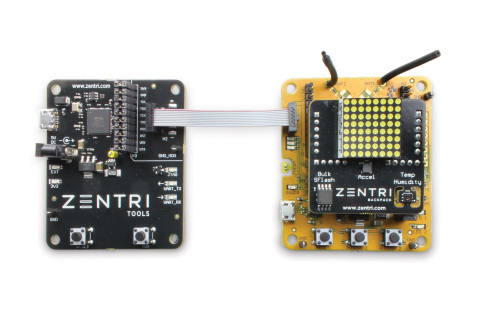 NXP worked with Zentri, which provides a single platform stack that helps companies build connected products for the IoT market, to combine the NXP LPC43S67 microcontroller, A7001CM secure element and NTAG I2C NFC, a Murata SN8000 802.11b/g/n module, with the Zentri Secure Connected Product Platform. This provides the ZentriOS, ZentriOS SDK, ZentriDMS, and Zentri Mobile App SDK for embedded development projects. The kit reduces the time needed to create and deploy secure, connected products such as vending machines, personal health devices and interactive displays, industrial products used for factory automation, industrial gateways and diagnostic equipment, as well as consumer products used in the home, such as washing machines and thermostats. “The Kit makes it easy for developers to stay focused on releasing embedded products, deliver a great connected experience to all users and, ultimately, to enable product companies to realise new, recurring business models with premium product features and services,” said Paul Fulton, Chief Executive Officer at Zentri.